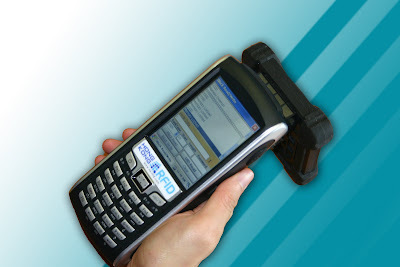 All sorts of RFID applications is becoming more user-friendly with this handy portable device, HKRUR-5080. The mobility of handheld further complete the highly automatic RFID system and all benefits from RFID system now visualised through this clear TFT-LCD. There are 3 recent successful cases by using our Mobile UHF handheld reader. The position location system for bridge cane is a sophisticated system, it is one of very crucial system in daily operation, this handheld being used for routine maintenance, they need to withstand high G-force, shocking and impact circumstances, as well as dusty & muddy environment. It is a statutory body responsible for developing and implementing a public housing program. We assist HA in conducting a feasibility study in prefabrication product monitoring and surveillance in manufacturing plant and site with using of RFID technology. Our RFID tag products can apply to panel wall, window, pre-cast modules, fire resisting door, etc. HA use the mobile UHF handheld to Read/Write information into tag which is burried in facade in construction site. The industrial grade protection allows the PDA operates smoothly in dusty and muddy construction site environment. Not only the increasing traceability of prefabrication product enhances the inventory management, but also the quality of products can be assured. For example, they can keep tracking the building material by our reader. Besides, the system can allow the future tack of information in maintenance issue. The client is a thrid-party testing laboratory, providing electrical safety testing and certification, EMC testing, and performance and other benchmark testing. In daily operation, our reader helps them in searching, tracking, and testing process. Besides, they use RFID system in Sample Assessment Tracking, to ensure the testing procedure carried out properly. It includes sample evaluation and inspection. By using our reader, they can have better control of quality, production flow and delivery. The customer can also login their system to see the status of testing.